Weddings take place on a seaside lawn. Australia’s most romantic destination is a little-known boutique hotel in the Whitsundays. There’s only one catch, writes Elisabeth Knowles: you have to get married to stay here. 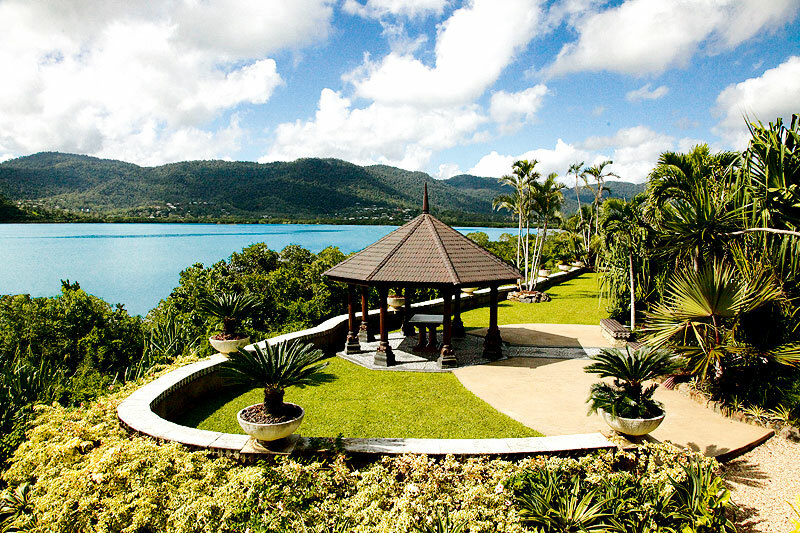 Welcome to one of Australia’s most elegant and elite retreats. 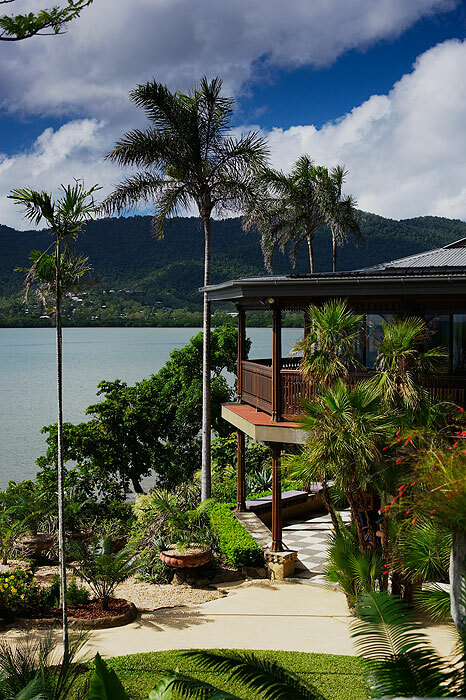 With just two king-sized suites available, and then only to a bride and her groom, Whitsunday escapes don’t get more exclusive than Villa Botanica. 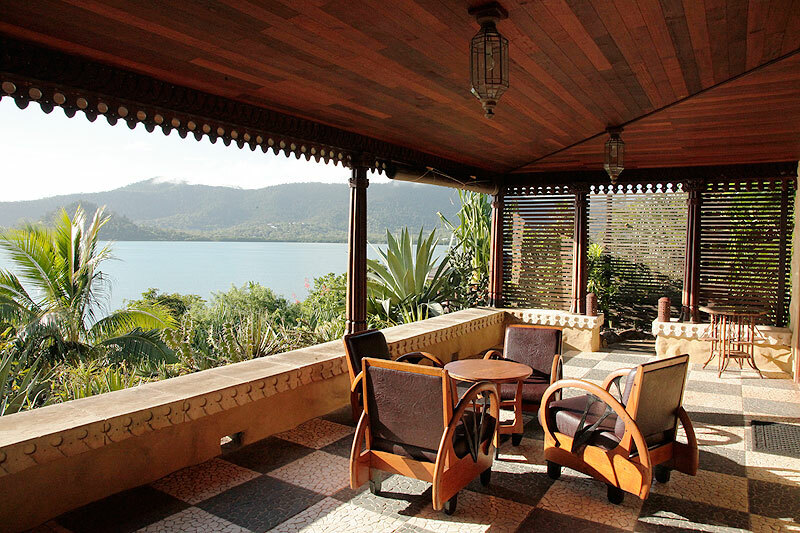 Located right on the edge of the Coral Sea, 10 minutes fromAirlieBeach, Villa Botanica is a grand colonial Javanese-style pavilion set amid lushly landscaped grounds, which anchor themselves to a black-rock escarpment above the brilliant blue waters ofPioneerBay. Its rooms seem destined for optimum romance. 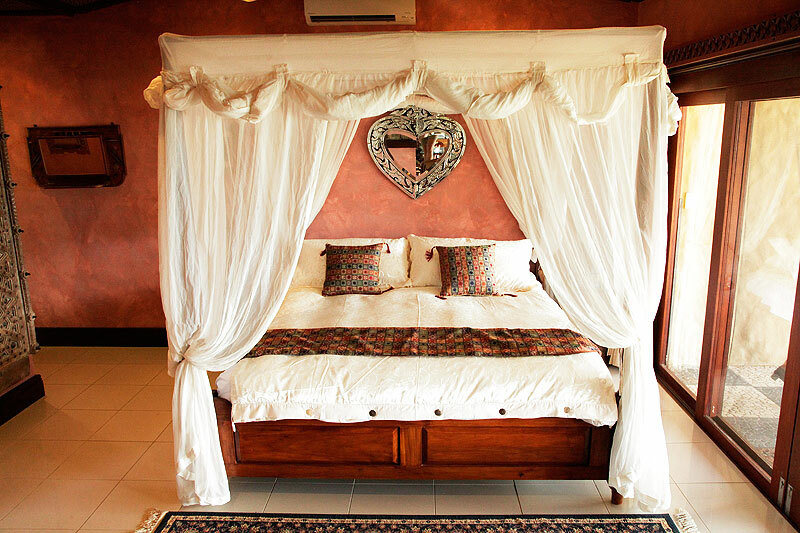 Ornate scallop-edged, heart-shaped mirrors hang on the wall above canopied four-poster beds. Wide private decks offer expansive views over an intense Whitsunday-blue sea. 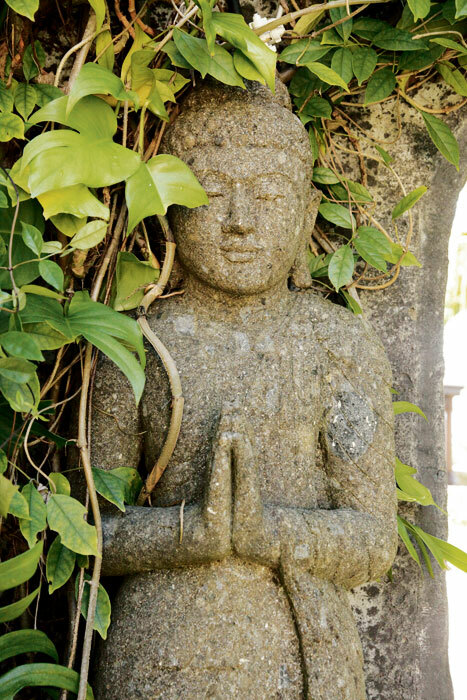 A Balinese-style outdoor bathing area beckons with a freestanding stone tub. So it’s interesting to discover that Villa Botanica was originally designed as – and still functions as – a private family home, and that the two self-contained suites were originally made not for newlyweds but to lure two independent adult daughters back to the nest from time to time. As well as the usual assorted boxes and pets, a “pantechnicon of cacti” made the move north with them, according to Janet. Villa Botanica is all the more magical for its exotic landscaping: Madagascan triangle palms line the long driveway, eclectically arranged cactus gardens hug the contours of a hill above the house, and a dedicated cactarium showcases a prized collection of rare species grown over the past 50 years by local lady Anne Camilleri, who was becoming too old to care for the plants herself. Ralph started his own collection over three decades ago when he was owner-chef of Cactus Café, a cutting-edge punk-rock eatery in the inner-Sydney suburb of Glebe. It wasn’t until a photographer friend visited Villa Botanica in 2007 and suggested it would make a great wedding venue that the Hogans even considered the idea, yet it wasn’t long after that that their boutique business began, and it has thrived despite a reportedly declining domestic travel market. The venue is now so popular that weddings are booked 18 months in advance. It’s the perfect lead time for a grand production such as The Best Day Of Your Life, says Janet, who relishes the opportunity to share the journey with someone as their dream day is planned and fulfilled. In fact, Villa Botanica now casts such a spell that it has begun to seduce young lovers into tying the knot. In November last year, local Airlie Beach couple Marianna Portoles, a surf-shop assistant, and Brendan Ruge, a diesel mechanic, dressed up for a bridal shoot here. Throughout the day, the couple posed as bride and groom in various locations around Villa Botanica. At the end of the day, while Marianna was still dressed in an over-the-top white meringue gown, the pair took a break under a pagoda with views across the Coral Sea to Hayman Island. Taking advantage of the private moment, Brendan ceremoniously got down on one knee. Given the circumstances and her attire, Marianna thought he was joking. But he wasn’t. Brendan had secretly planned to pop the question in this idyllic spot all along, and while the two had their “wedding photos” taken, he quietly and nervously waited for the shoot to end so he could get down to the real business of the day. Happily, she said yes. Now Marianna and Brendan are the cover models for the Romantic Issue of Australian Traveller, which you now have in your hands. Who better to show us aroundAustralia’s most romantic destination than the two lovebirds who chose this location to seal their future with a kiss? Where is it? 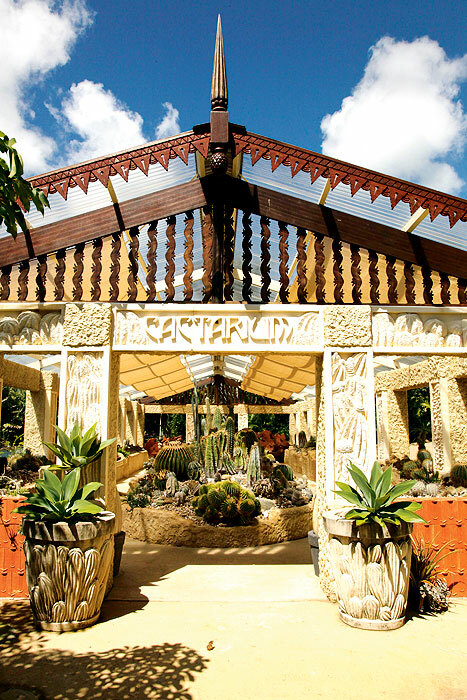 Villa Botanica is at Woodwark on the Whitsunday coast,Queensland. 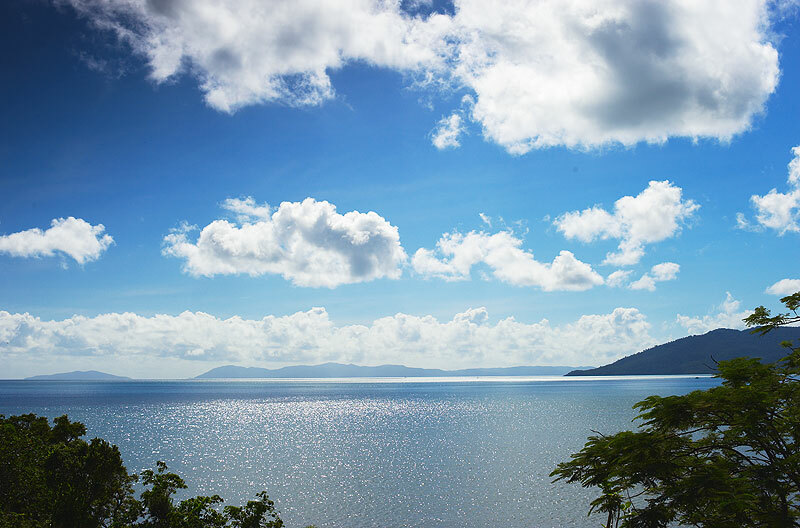 You can fly in to Proserpine airport fromBrisbane, or take the more scenic option, which is to fly in toHamiltonIslandand take a ferry transfer past lovely Whitsunday islands toAbelPointMarina,AirlieBeach. Notes Villa Botanica specialises in luxury boutique weddings, including everything from flowers to fireworks, with packages ranging from $25,000-$45,000.